Imagine that you’ve just launched a video game that you have developed yourself or with your team and after a while you find out that many of the players are muting the audio to play without sound or music, and among other reasons, they do it because it is more enjoyable for them this way. How come they enjoy playing the game more without the sound? What has happened? What have we done wrong? Don’t worry, this happens quite often. It is frustrating for video game developers as the sound hasn’t been put there for it to be appreciated in itself, but, in particular, because it adds something to the game experience. Furthermore, developers haven’t invested part of their budget in it to, let’s say, throw it out the window. And in the same way, it is something which can frustrate sound engineers and composers of video game music, as, like all artists, we like our work to be appreciated. This phenomenon hasn’t gone unnoticed, there are many gamers who admit to muting the volume when they play. Some confess to this although they may have regrets and others are impassive about it, but in both cases, they defend their reasons, which are sometimes understandable. There isn’t just one reason why they do it. Cases of turning off the audio of a video game depend on various factors, many of which can be corrected but others which are unavoidable. Let’s look then at the reasons why this happens and how we can prevent it when it comes to designing our video game. Why do gamers mute video game audio? First and foremost, we must be clear that the sound in a video game is often not considered as the most important thing. Sound offers the player an improvement in aesthetics, however, it is the player who decides to what point they want to get into it. In other words, don’t feel disregarded if the gamer mutes the audio. When we carry out an activity that we enjoy, we all want to concentrate on it and remove all other distractions. And when this activity poses a challenge, the more we want to get into it; we don’t want something to be annoying us. So, this is one of the reasons why players turn down or mute the volume when playing: because the sound annoys them. This depends on the person, there are those who concentrate better when there is music, and others who don’t. For example, if you turn off the audio in a horror video game, you won’t feel as afraid and you can play more easily. This type of sound and horror music are designed to make the player feel afraid, and the fear may be distracting. Of course, muting the audio in this case would be like cheating. One of the other reasons is obvious and, sometimes, no matter how much effort developers make to prevent it, the volume is still muted. It isn’t because the game music is annoying the actual player, but those around them. It could be because they are in a public place where silence is urged. There are also those who say that it is younger players who usually mute the audio due to the fact that their “soul” still hasn’t matured emotionally to the point of allowing music to foster their emotions. But let’s not try to get away from our responsibilities. 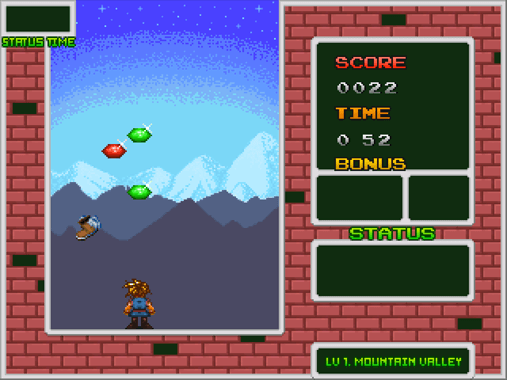 The player has muted the video game’s music or its sound effects. We’ve done something wrong. And, in effect, in some cases the blame lies with the game developers. It could be that the soundtrack isn’t pleasing to the player or it could be that part of it, at a specific moment of the game, is badly configured, mixed, or even badly composed, and this annoys the listener. 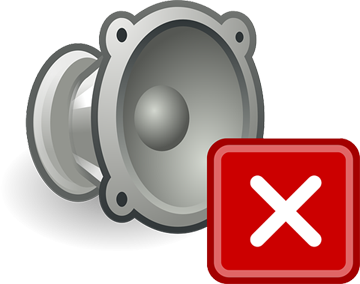 It goes without saying that if the songs are boring, noisy or very repetitive, we can expect an instant “mute”. Whatever it is, if we do a good job with the sound, if the music in particular is of a good quality and vitally improves the game experience, the player won’t want to mute the audio. Even if they are in a public place, they will look forward to playing when they get home or go to a more comfortable place in order to enjoy the game with all its sections, including, of course, the sound section. Subscribe to my newsletter to also receive 7 tips to set your game musically, and more FREE stuff! Regardless of whether the sound is a section which most people consider as secondary, it is an incentive to the good aethetics of a video game or mobile app. The music in itself can tell stories and the sound effects provide realism. We mustn’t overlook this section if we want to create a game with greater attractiveness and one which is easily recognizable. If the avatar strikes with its sword, the sound effect should be that of a sword, it shouldn’t sound like a stick or something that sounds like one. Sometimes, as an independent developer, it is difficult to find the sound effect that you are looking for, and so you end up just using one that is similar, therein lies the mistake. To the players this may not sound like a sword at all, but more like a singing donkey. The same thing happens with the music, this must accompany a particular section and enhance the emotion, if not then it is of no use. It must be there to play a clear role. It isn’t just about adapting the music genre to the type of game, for example chiptune music goes well with retro games. What is true is that there is a great reason why music is added to video games and many independent video game designers are unaware of it. They take it for granted that it must be there but, do they know why? No. And that’s why this section can sometimes fail, the music doesn’t enhance the emotion, it bores the player. Music for video games is like the ingredients used in cooking food, if you add sugar to the fish, nobody will eat it. One must know how to cook up a good original soundtrack. There are more and more games that base their playability around sound. For example, during battles in some real-time action games, it is possible to dodge the enemy’s attack by hearing it come. An example of committment to sound playability would be adding mini-games or puzzles where it would be necessary to hear the sound to resolve them and making the resolution thereof obligatory in order to continue advancing in the game. If these mini-games are repeated throughout the game it will make the player pay more attention to the sound section at all times and the more unexpected these mini-games are, the better. Neither the music nor the sound effects should be overly repetitive, they shouldn’t have variances in sound levels and must be of a decent quality. One must be careful when using so-called “library resources”. These sound effects and music are very profitable and may offer perfect sound quality, but they are still not the same as original and exclusive use resources as the latter will only be used by you. Instead, some library resources become so overused that everyone knows them and hears them everywhere, up to the point where the simple fact that they are not innovative becomes uncomfortable. In particular I am referring to assets that, by default, have a video game engine. On the other hand, downloading sound resources from websites whose files have not gone through quality control, is choosing to make twice the effort, as you will quite often have to edit them yourself using an audio program to normalize the volumes and eliminate noise. The best option is to always obtain music and sounds from specific websites for video games or quality multimedia projects and, if you can afford it, pay for a sound designers and composers. Creating conditionals for the audio in a video game adds variety and personality to your soundtrack. Not always having the avatar make the same sound when it attacks, or having different shot sounds every time the action button is pressed, are things that are done regularly in games released by big companies, but not as much in indie games. In music, multilayer composition is important to enliven the interactive part, as it becomes more attractive and unpredictable. It also happens with soundscapes. The goal in this case is to create audio tracks that vary depending on what is happening in the game, in a way that the music isn’t always repeating the same thing over and over again. It isn’t as severe as the title makes it sound. It is more about letting them know that if they turn off the game’s sound, it will be disregarding the work of the artists, musicians and sound engineers. If you are going to add sound options, you should know something funny that the developers of Sonic & All-Stars Racing Transformed did. When the player brings down the slider to lower the volumes of the voices, the race commentator tells you that you are going in the wrong direction and even pleads that this is his only job. And when you push the slider back up he thanks you. It is a fun way to “punish” the player when they are trying to mute the game sound. Should I add music to my video game? Music and sound are essential to help increase the player’s emotion. But it isn’t something as simple as just adding it to your game and leaving it at that. Like all designers of professional games, some standards need to be followed when it comes to configuring the audio of your project. Personally, I think it is a mistake to underestimate the music, as we have already said it is the main tool for unleashing the viewer’s emotions. An audiovisual work is an audio and video work. As I always say, a story can make you feel, but you will shed the tear when the music starts. The video game’s soundtrack, whatever the style, gives it personality. That’s how we can identify a well-known video game by only listening to part of its soundtrack. Normally, the song that plays on the title screen gives the player an idea about what the game will be about. To sum up, the most needs to be made of this section when it comes to developing a project. Do you agree with these tips? Is there anything more you would like to add? Let me know by leaving a comment. And remember, subscribe to my newsletter to become part of my world of music!